For a few hours on the afternoon of Nov. 1, the people of southern California were scared by initial reports of an alert at the San Onofre Nuclear Generating Station. An "alert" is the second of four warning levels. Workers first detected an ammonia leak in a water purification system about 3 p.m. Ammonia, when mixed into air, is toxic. The 30 gallons of ammonia were caught in a holding tank and posed no health risk, according to the Nuclear Regulatory Agency (NRC). During the 1970s and 1980s, at the peak of the nuclear reactor construction, organized groups of protestors mounted dozens of anti-nuke campaigns. They were called Chicken Littles, the establishment media generally ignored their concerns, and the nuclear industry trotted out numerous scientists and engineers from their payrolls to declare nuclear energy to be safe, clean, and inexpensive energy that could reduce America's dependence upon foreign oil. Workers at nuclear plants are highly trained, probably far more than workers in any other industry; operating systems are closely regulated and monitored. However, problems caused by human negligence, manufacturing defects, and natural disasters have plagued the nuclear power industry for its six decades. It isn't alerts like what happened at San Onofre that are the problem; it's the level 3 (site area emergencies) and level 4 (general site emergencies) disasters. There have been 99 major disasters, 56 of them in the U.S., since 1952, according to a study conducted by Benjamin K. Sovacool Director of the Energy Justice Program at Institute for Energy and Environment One-third of all Americans live within 50 miles of a nuclear plant. At Windscale in northwest England, fire destroyed the core, releasing significant amounts of Iodine-131. At Rocky Flats near Denver, radioactive plutonium and tritium leaked into the environment several times over a two decade period. At Church Rock, New Mexico, more than 90 million gallons of radioactive waste poured into the Rio Puerco, directly affecting the Navajo nation. In the grounds of central and northeastern Pennsylvania, in addition to the release of radioactive Cesium-137 and Iodine-121, an excessive level of Strontium-90 was released during the Three Mile Island (TMI) meltdown in 1979, the same year as the Church Rock disaster. To keep waste tanks from overflowing with radioactive waste, the plant's operator dumped several thousand gallons of radioactive waste into the Susquehanna River. An independent study by Dr. Steven Wing of the University of North Carolina revealed the incidence of lung cancer and leukemia downwind of the TMI meltdown within six years of the meltdown was two to ten times that of the rest of the region. At the Chernobyl meltdown in April 1986, about 50 workers and firefighters died lingering and horrible deaths from radiation poisoning. Because of wind patterns, about 27,000 persons in the northern hemisphere are expected to die of cancer, according to the Union of Concerned Scientists. An area of about 18 miles is uninhabitable. The nuclear reactor core is now protected by a crumbling sarcophagus; a replacement is not complete. Even then, the new shield is expected to crumble within a century. The current director at Chernobyl says it could be 20,000 years until the area again becomes habitable. In March, an earthquake measuring 9.0 on the Richter scale and the ensuing 50-foot high tsunami wave led to a meltdown of three of Japan's Fukushima Daiichi nuclear reactors. Japan's nuclear regulatory agency reported that 31 radioactive isotopes were released. In contrast, 16 radioactive isotopes were released from the A-bomb that hit Hiroshima Aug. 6, 1945. The agency also reported that radioactive cesium released was almost 170 times the amount of the A-bomb, and that the release of radioactive Iodine-131 and Strontium-90 was about two to three times the level of the A-bomb. The release into the air, water, and ground included about 60,000 tons of contaminated water. The half lives of Sr-90 and Cs-137 are about 30 years each. Full effects may not be known for at least two generations. 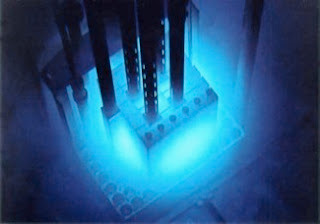 Twenty-three nuclear reactors in the U.S. have the same design--and same design flaws--as the Daiichi reactor. About five months after the Daiichi disaster, the North Anna plant in northeastern Virginia declared an alert, following a 5.8 magnitude earthquake that was felt throughout the mid-Atlantic and lower New England states. The earthquake caused building cracks and spent fuel cells in canisters to shift. The North Anna plant was designed to withstand an earthquake of only 5.9--6.2 on the Richter scale. More than 1.9 million persons live within a 50-mile radius of North Anna, according to 2010 census data. Although nuclear plant security is designed to protect against significant and extended forms of terrorism, the NRC believes as many as one-fourth of the 104 U.S. nuclear plants may need upgrades to withstand earthquakes and other natural disasters, according to an Associated Press investigation. About 20 percent of the world's 442 nuclear plants are built in earthquake zones, according to data compiled by the International Atomic Energy Agency. The NRC has determined that the leading U.S. plants in the Eastern Coast in danger of being compromised by an earthquake are in the extended metropolitan areas of Boston, New York City, Philadelphia, Pittsburgh, and Chattanooga. Tenn. The highest risk, however, may be California's San Onofre and Diablo Canyon plants, both built near major fault lines. Diablo Canyon, near San Luis Obispo, was even built by workers who misinterpreted the blueprints. Every nuclear spill affects not just those in the immediate evacuation zone but people throughout the world, as prevailing winds can carry air-borne radiation thousands of miles from the source, and the world's water systems can put radioactive materials into the drinking supply and agriculture systems of most nations. At every nuclear disaster, the governments eventually declare the immediate area safe. But, animals take far longer than humans to return to the area. If they could figure out that radioactivity released into the water, air, and ground are health hazards, certainly humans could also figure it out. Following the disaster at Daiichi, Germany announced it was closing its 17 nuclear power plants and would expand development of solar, wind, and geothermal energy sources. About the same time, Siemens abandoned financing and building nuclear power plants, leaving only American-based Westinghouse and General Electric, which own or have constructed about four-fifths of the world's nuclear plants, and the French-based Areva. The life of the first nuclear plants was about 30--40 years; the newer plants have a 40--60 year life. After that time, they become so radioactive that the risk of radiation poison outweighs the benefits of continuing the operation. So, the operators seal the plant and abandon it, carefully explaining to the public the myriad safety procedures in place and the federal regulations. The cooling and decommissioning takes 50--100 years until the plant is safe enough for individuals to walk through it without protection. More critical, there still is no safe technology of how to handle spent control rods. The United States has no plans to abandon nuclear energy. The Obama administration has proposed financial assistance to build the first nuclear plant in three decades, and a $36 billion loan guarantee for the nuclear industry. However, the Congressional Budget Office believes there can be as much as 50 percent default. Each plant already receives $1--1.3 billion in tax rebates and subsidies. However, in the past three years, plans to build nuclear generators have been abandoned in nine states, mostly because of what the major financiers believe to be a less than desired return on investment and higher than expected construction and maintenance costs. A Department of Energy analysis revealed the budget for 75 of the first plants was about $45 billion, but cost overruns ran that to $145 billion. 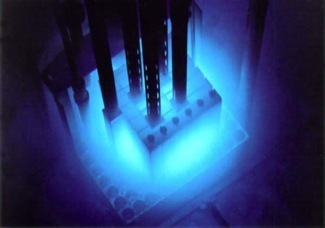 The last nuclear power plant completed was the Watts Bar plant in eastern Tennessee. Construction began in 1973 and was completed in 1996. Part of the federal Tennessee Valley Authority, the Watts Bar plant cost about $8 billion to produce 1,170 mw of energy from its only reactor. Work on a second reactor was suspended in 1988 because of a lack of need for additional electricity. However, construction was resumed in 2007, with completion expected in 2013. Cost to complete the reactor, which was about 80 percent complete when work was suspended, is estimated to cost an additional $2.5 billion. The cost to build new power plants is well over $10 billion each, with a proposed cost of about $14 billion to expand the Vogtle plant near Augusta, Ga. The first two units had cost about $9 billion. Added to the cost of every plant is decommissioning costs, averaging about $300 million to over $1 billion, depending upon the amount of energy the plant is designed to produce. The nuclear industry proudly points to studies that show the cost to produce energy from nuclear reactors is still less expensive than the costs from coal, gas, and oil. The industry also rightly points out that nukes produce about one-fifth all energy, with no emissions, such as those from the fossil fuels. For more than six decades, this nation essentially sold its soul for what it thought was cheap energy that may not be so cheap, and clean energy that is not so clean. It is necessary to ask the critical question. Even if there were no human, design, and manufacturing errors; even if there could be assurance there would be no accidental leaks and spills of radioactivity; even if there became a way to safely and efficiently dispose of long-term radioactive waste; even if all of this was possible, can the nation, struggling in a recession while giving subsidies to the nuclear industry, afford to build more nuclear generating plants at the expense of solar, wind, and geothermal energy?